Honestly, that extra was brave and noble and correct given the information he was working with. Respect to you pointless extra whose name I didn’t bother to remember – you were wrong but with the best of intentions. This episode is very much all about Flynn – not so much about him, but to lay out the plot, remind us of his relationship with Eve, remind us he’s in charge and awesome and takes ridiculous risks which work out and can even sell the whole “we’re Librarians” line – basically he takes what the team does, turns it up to 11, throws in the emotional stability of a gyroscope on crack, throws some excellent world building about the awesome Charlene (who isn’t dead, by the way). What I like about this is it’s just a prequel to Flynn leaving again – he has decided to make it his main mission to find Charlene while everyone else… doesn’t? Despite already covering the fact that she is literally the key to stop the world ending? Ok. Anyway it’s so Flynn can say goodbye to Eve again to stop them settling into a romance and so Flynn doesn’t dominate the plot. 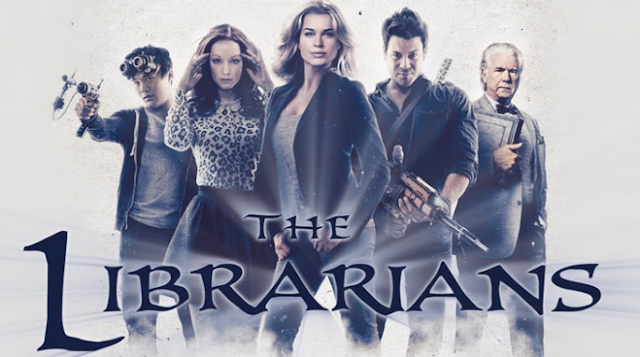 As I’ve said repeatedly over and over again, while I don’t dislike Flynn, I prefer The Librarians when we have them as a team rather than them being the backing group to Flynn. We also have a great moment from Ezekiel, with him being noble, skilled, brave and self-sacrificing. It’s important for this character because he is the rogue, he is the often selfish one snarking at the background and making jokes in serious situations and generally not involving himself in any real nuanced or difficult conversations. I think the writers recognise this because this is the second time where a major part of an episode has been to highlight Ezekiel’s underlying nobility.